The Corporate Social Responsibility (CSR) Policy of TMHIN stipulates “TMHIN is committed to ensure that its activities shall extend beyond business and include initiatives for the benefit of community and society at large”. Following this commitment, TMHIN organized CSR Day on February 02, 2016 wherein all the employees of TMHIN based at the corporate office as well as branch offices participated in CSR activities at their respective locations. 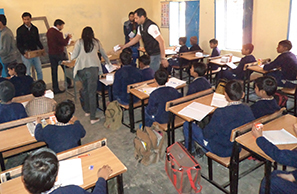 a) Facility for clean and safe water through Water Cooler linked to a Reverse Osmosis (RO)systems were provided to two government schools in Gurgaon. These facilities were inaugurated by Mr. Masao Shimada, Managing Director, TMHIN. 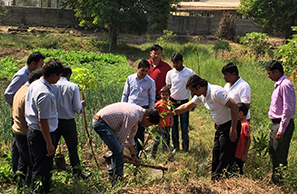 b) The employees of TMHIN office at Gurgaon planted the trees in two government schools. 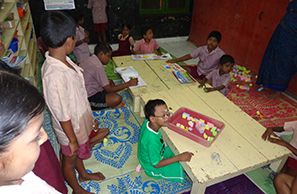 c) Desks were provided for the primary government school. 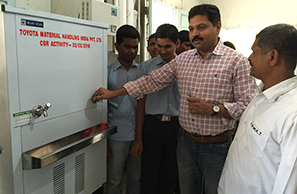 a) Facility for clean and safe water through Water Cooler linked to a Reverse Osmosis (RO) system was provided to Blind School in Pune. 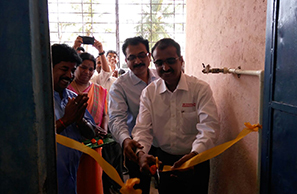 This facility was inaugurated by Mr. Vinod Kumar, Branch Manager (Pune), TMHIN. b) Trees were planted by the TMHIN staff of Pune branch. 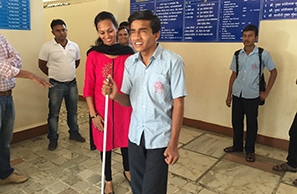 c) Blind sticks and Hello Teacher (books for teaching blind students) were distributed to students at the blind school. a) Facility for clean and safe water through Water Cooler linked to a Reverse Osmosis (RO) system was provided atPrimarySchool in Chennai. 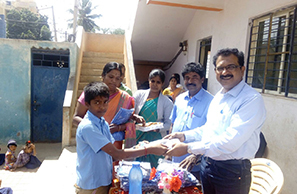 This facility was inaugurated by Mr. D Rajendran, Branch Manager (Chennai), TMHIN. 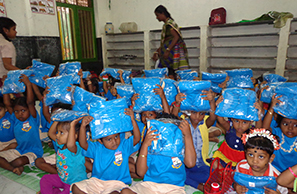 b) Uniforms were provided to the students of the Primary School. c) TMHIN staff distributed Speech Trainers (instrument for deaf and dumb) and other educational material to the differently abled students. 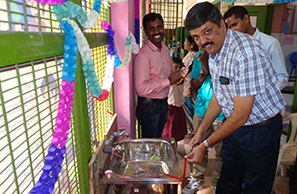 a) Facility for clean and safe water through Water Cooler linked to a Reverse Osmosis (RO) system was provided at Primary School in Bangalore. 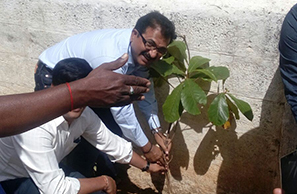 c) Trees were planted by the TMHIN staff of Bangalore branch.